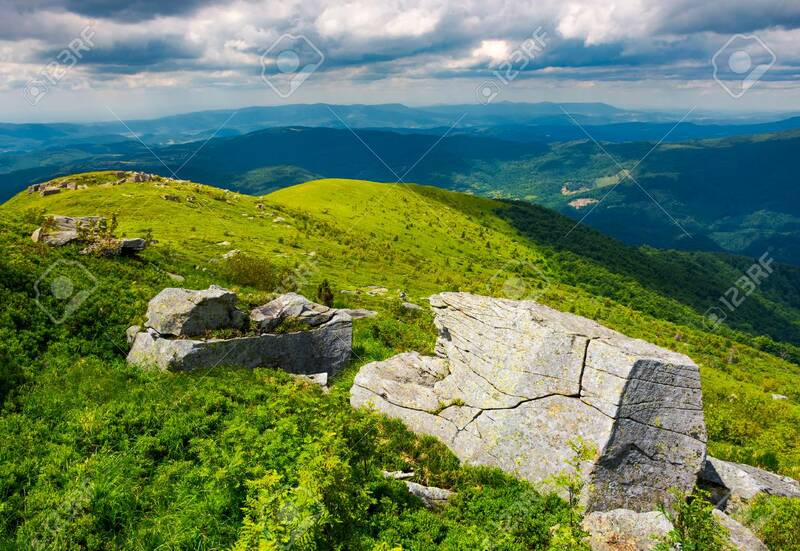 Boulders On Grassy Hills. Beautiful Mountainous Landscape. Distant.. Stock Photo, Picture And Royalty Free Image. Image 103702208.